In the next few months we will be working with you guys — listening to your feedback from the various beta versions, incorporating your wonderful ideas, chatting with you on Google Hangouts, Steam and our private forum, etc. We will also be posting a lot of "VIP Insights" (backer only updates) with downloadable goodies like the HD wallpapers! It’s going to be a fun and awesome period of our lives! 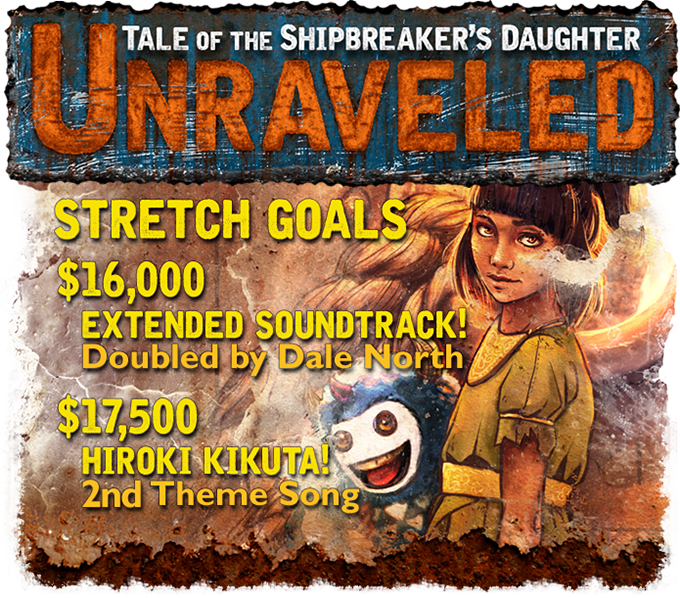 We will also be working closely with Dale North to get Unraveled’s custom soundtrack created. What you might not know yet, is that none of the music currently present in the game (the playable demo) is actually composed by Dale. We have yet to begin work on that, because we need the funding from the Kickstarter! So you made it possible that our beautiful Unraveled will have its very own Original Soundtrack! We have two awesome STRETCH GOALS that we are now working towards! If we reach 16k, Dale North will be creating double the amount of tracks! That means more melodies, more variation and more Original Soundtrack! If we reach 17.5k, Hiroki Kikuta will be composing asecond Theme Song! 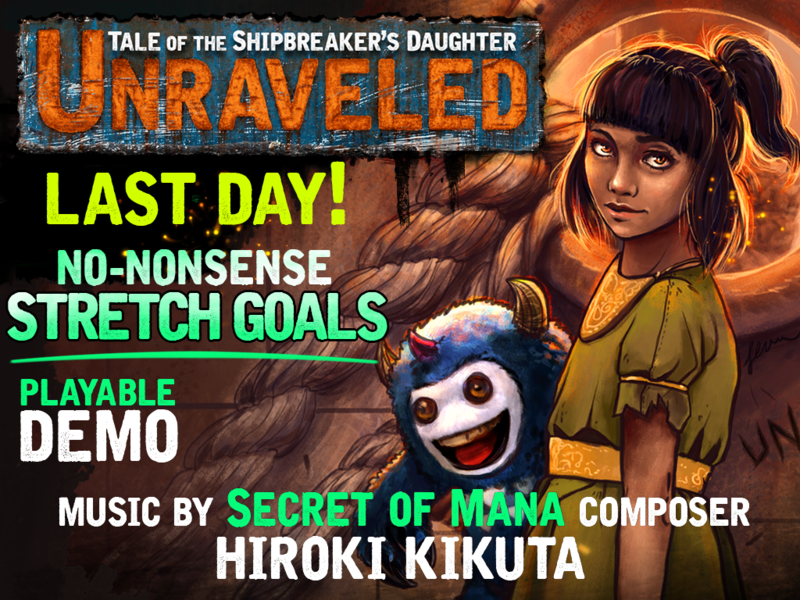 Help us get there by grabbing those awesome Kickstarter rewards before the campaign ends,and please spread the word of Unraveled wherever you can! We are already so close to the 16k Stretch Goal! We (Aaron and Chancler) will be LIVE on Twitch TODAY at 2 PM EDT! We’ll be broadcasting our very own stream. Come and talk to us! It’ll be fun! Or you can just watch us play Unraveled, chat and work. ← Day 24: Summon KING CAT! $10k funded!